Kylie Thomas’s Impossible Mourning: HIV/AIDS and Visuality After Apartheid looks at South Africa’s HIV/AIDS crisis from an interdisciplinary perspective, drawing on visual arts that include photography, paintings, and self-portraits, as well a variety of different narratives and critical theories. Perhaps most importantly, though, the book is informed by Kylie Thomas’s own experiences living in South Africa and the work she did with HIV/AIDS support groups in the township of Khayelitsha. In her book’s introduction she describes volunteering for the Memory Box Project, “an art and narrative therapy and advocacy project based at the [University of Cape Town’s] AIDS and Social Research Unit (ASRU)” (2). 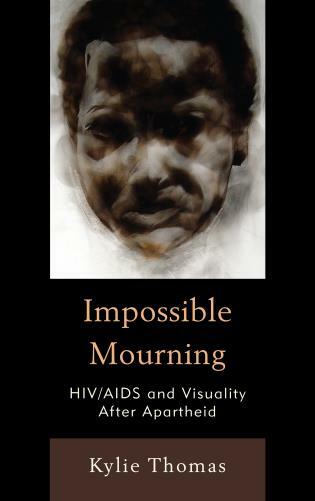 In the following interview, Professor Thomas discusses the important of public mourning for people who have died from or are currently living with HIV/AIDS, and also explains how she sees the book fitting into HIV/AIDS discourse. BUP: Please tell us a little bit about your professional background and why you decided to write this book. KT: I began working on this book while I was a doctoral student at the University of Cape Town in South Africa. At that time anti-retroviral treatment was not available through the public health care sector for people living with HIV/AIDS in South Africa. This meant that many, many people died painful and untimely deaths. I worked with people living with HIV in art and narrative therapy support groups. My doctoral dissertation focused on what it meant that so many people were effectively denied the right to life in newly liberated post-apartheid South Africa. The book, which focuses on the ways in which visual representation is connected to political representation, grew out of my doctoral research. BUP: You emphasize “the importance of public mourning” for AIDS victims who otherwise might only be publicly acknowledged in the form of mortality statistics. How would you define “public mourning” and what good can it do? I don’t think that all mourning must be public, on the contrary I think that grief often needs to be private. But the point my book seeks to make is that the disavowal of mourning for people who have died of AIDS-related diseases is connected to the ways in which people living with HIV/AIDS are treated while they are still alive. The book argues that the failure to publicly mourn the losses incurred as a result of the epidemic casts a cold light on facile claims about community and solidarity in the aftermath of apartheid. Public mourning in the form of the state itself recognizing the losses of HIV/AIDS is important because this makes clear that people living with HIV/AIDS are recognized as part of the body politic. To my mind this still has not happened in South Africa. People living with HIV/AIDS now have access to treatment in the public health system but stigma and discrimination, silence and shame continue to characterize responses to the epidemic. BUP: Is there any tension between the artistic versus the “objective” in depicting AIDS victims? I’m thinking specifically of your observation that many people take photography to be objective, minimizing questions of perspective, framing and politics. What are some of the challenges of portraying AIDS victims in dignified ways? KT: No act of representation is neutral. All representation is political. The challenges with representing people living with HIV/AIDS in ways that do not compound their desubjectivisation lie in the fact that people do not think enough and because we live in a world dominated by racist, sexist, homophobic ways of seeing. BUP: Given your book’s intersection with politics, health, and human rights, who do you envision as its ideal audience? In what ways can the book resonate with readers outside of academia? KT: I hope that the book will be read by people both inside and outside of academia. I think that parts of it will maybe only make sense to academic readers. This is something I regret and if I were going to write it over again I would try to leave out or rephrase some parts of the book that I don’t think are accessible and clear. I think that parts of the book can resonate with people outside of academia as Impossible Mourning describes my own trajectory as a young person in South Africa during the epidemic and my own attempts to come to terms with the losses in this place and time. I am also trying to think about what it means to live in the aftermath of apartheid and this is also something I discuss in the book that I think affects everyone living in South Africa. KT: The last part of the book is called “Without Conclusion” and this is in order to contest the idea that the crisis of HIV/AIDS is over. The book took a long time to appear in print (I wrote quite a lot of it almost ten years ago now) and at some point I thought the critical moment when it should have appeared had passed. Now I think that Impossible Mourning serves as a timely reminder. Kylie Thomas is a lecturer in the English Department at Stellenbosch University. Read more about her book here.